Cafetoriums have been around for years. The work originates from a combination of two words—cafeteria and auditorium. If you read wordsbybob regularly, you will recognize this word as a portmanteau. 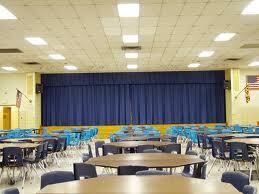 The cafetorium is a large room, usually in a school that serves both functions. It seems the term cafetorium originated in somewhere between 1950 and 1955. I was in grade school at that time. Our school. Kenwood Elementary in Cedar Rapids, Iowa, had a cafeteria and the gym was our auditorium.